Ever since this year started, I fell into the thought of how to celebrate the little one’s 3-year birthday party. Where we will be? Are we going to do it at home or outdoor, or in some children facilities? A lot of questions, but no answers, as we are still a family not ‘settled’. Only till about a month ago, we kinda of knew most of the answers. On her birthday, we will be in Ljubljana, and we won’t hold the party at home. Then where? As a famous ‘mum’ being last-min, I wanted to book some place for the little one. Ok, count down started. My search was on. 16 days left. The convenient part of attending kindergarten is you get to know other kids’ parents and get tips on some stuff. I asked some parents, they shared info. Then I could check further. Of course almighty Google. My keyword used was “kids birthday party Ljubljana”. Found some potential interesting ones. Then I emailed them all, mainly asking if they organize for 3 years old (as some are not clear on their website) and what are the available dates, what program can be included, pricing… etc. Of course, some of these info. Can be found on their sites, but since I am writing to them, why not ask again? I sent out 4 emails. 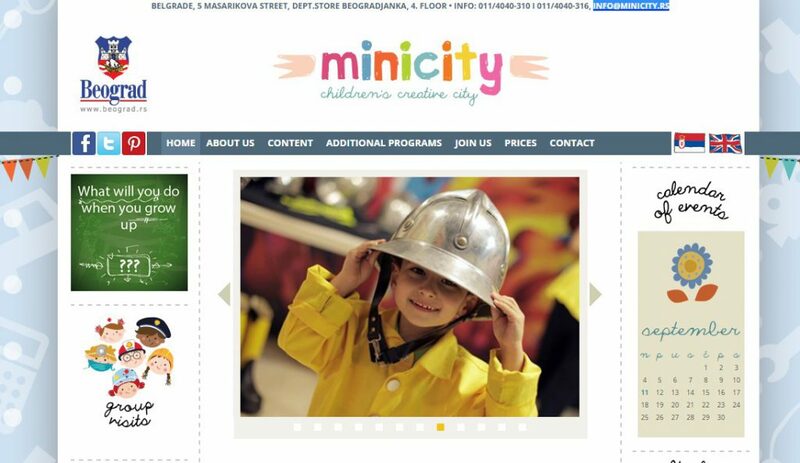 As I already visited MiniCity and their website is very comprehensive, so is Lolliland – so no email for info. for these two. A place with a lot of gym activities, can be for 3 years old. Their website doesn’t have english option, I used google translate to find out later they did put info. On birthday party. But I only got reply after 9 days and the available time slot wasn’t too good, Sat at 11am, will ruin a lot of kids’ nap time. However, if you are Slovenian and kids love sports, this could be a great option. Nice place in Tivoli park. I wrote to them. Someone replied the next day, saying that they only cater for kids over 4 years old. Pity! Seems like a good option. The director replied the next day also saying they don’t do parties for kids under 4 years old. Ouch! Great concept. We used to go to the minicity in Belgrade before Zoey turning 2 years old, when she didn’t understand those concept at all. Mini city offered 19 play units showcasing diverse occupations and activities that are part of our daily lives, such as supermarket, bank, TV and radio studio, airplane, zoo and animal shelter, etc. It’s great, however, I was just worried that too much to understand after a “hard day” already since I intend to hold the party after kindergarten. (weekend is a bit busy and hard to manage time due to children different nap schedule). High potential one. I went there once for a birthday party for a friend’s son. it ‘s good for younger children as there are no complicated game or anything involved. Just like a themed playground. easy! Another mum introduced me this name. I checked online, it’s actually quite nice concept, they would do the animation from some cartoon character, and organize everything. You can have the cake made with with beloved figure too. For me, it will be such a relief to solve Zoey’s current “Frozen” obsession. BUT, unfortunately also suitable for 4 years above. Considering all the options, I decided to ask minicity and lolliland for available time slot. Both are not available on Zoey’s birthday. But a day earlier (Thursday) from 5pm, or on Saturday in the afternoon. As Mini City offers the options to pick all the food/drinks on site, I feel a bit lazy to organize otherwise, so Mini City finally got my vote. I booked with them. Sent out all e-invites. Thanks internet. All responded within 3 days. Cool. No need to follow up further.